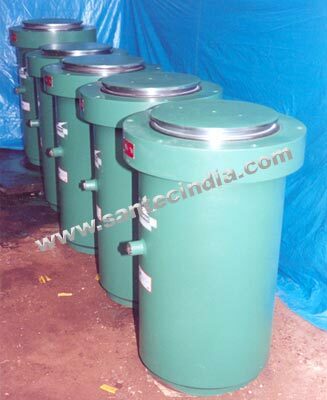 The range of Hydraulic cylinders, Jacks telescopic cylinders manufactured by ''Santec'' have been known for Quality, Reliability & Performance. For Quality assurance of our products, we have acquired ISO 9001-2000 Certification from UKAS, U.K. These are rugged & Exclusively well Hydraulic Cylinders Range.